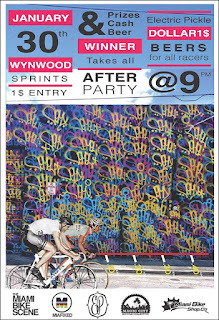 Paceline Urban Racing presents a night of quarter mile sprint races on Wynwood back street. 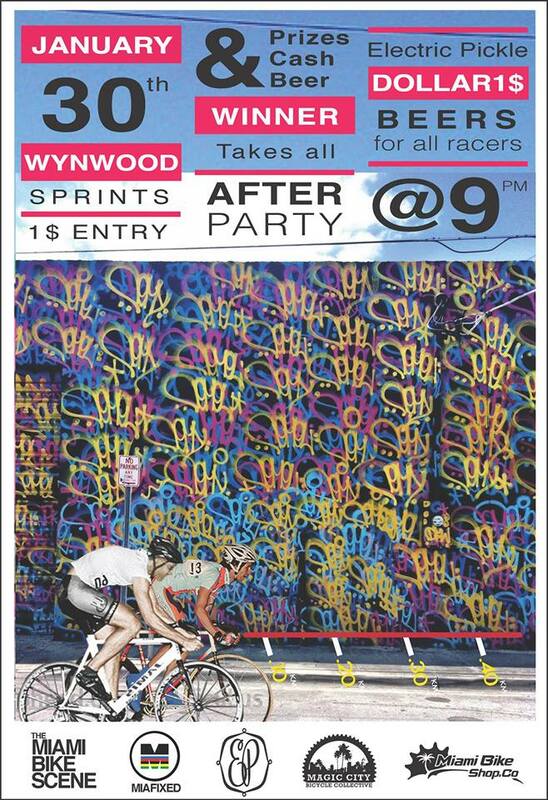 $1 to enter, prizes, after party at Electric Pickle with $1 beers for all racers. More information available here.